But you have access to the One who can. Have you ever spent time trying to change someone? A friend, a family member, a spouse, a child? It was/is probably with good intentions…because you see their potential…and if you can just help them change that onnnne littttle (or big) thing, right? I totally get it. I’ve been there, and I know how frustrating it can be to want something so badly for someone who doesn’t want it for themself. But here’s what I have learned, come to accept, and even embraced. Unless they WANT to change, or it’s something the Lord does in them, my efforts to change them are in vein. 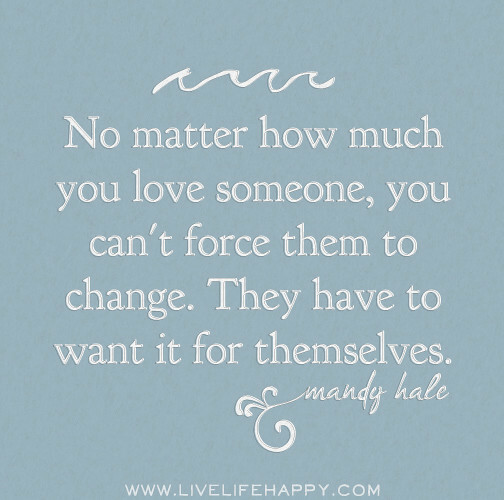 Sometimes it’s a selfish desire to change someone for our own benefit, and in this case it is a control issue- so it’s important to look inward & examine your true intentions. But sometimes it’s because they are making bad decisions- choices that are negatively impacting their life. And you know think if you can just do/say/give a little bit more, they’ll change and it will solve everything. Here’s my encouragement for you. Control the controllables. If you’ve read my blog for a while, you’ve heard me say this before. This is one of the number one life lessons I learned from playing college softball. Some things are simply out of your control, no matter how desperately you want to control them. Rather than wasting your time and energy trying to change something out of your control, focus on what you CAN control. Your attitude. Your habits. Your actions. Your reactions. Your thoughts. And most importantly, your prayers. Because although you can’t change someone, you have access to the one who can. Pray!! 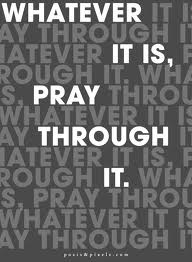 Pray, pray, pray, and do not give up. We tend to pray with an ASAP mentality and expect God to operate on our timeline. His ways are higher than our ways, and many times he is working things out beyond what we can see. But HE IS WORKING. He is hearing you. So adopt a new mindset…ALAT. (As long as it takes.) Pray ALAT. There is such a peace in relinquishing control and trusting God to take over. It’s so exhausting, frustrating, and stressful trying to change someone on your own, but y’all…it is SO rewarding watching the Lord answer prayers. Watching him work in people you have prayed for and in ways beyond your expectations. And honestly, it might be worth asking him to change your own heart. Ask for HIS eyes to see that person, because sometimes that shift in perspective, or removing the plank in your own eye, will change everything. Stop trying to change others…& take it to the Lord. He can.